Sarah, Zipporah, Rahab, Ruth and Naomi, Delilah, Esther, Tamar and Deborah. These are all women who, according to Dr. Tony Cartledge of Campbell University Divinity School, one might want to keep at an arms length. In other words, you wouldn’t want to mess with these women featured throughout the Old Testament narrative. Dominated by a culture of patriarchy, the historical context Old Testament often highlights the stories of the patriarchs as opposed to the matriarchs listed above. In Sunday school classes that start at an early age, the stories of Abraham’s obeying, Noah’s building, Daniel’s trusting, David’s slaying and others are the ones Christians hear over and over again. However, Dr. Tony Cartledge reminded us during a workshop at the 2015 CBF General Assembly in Dallas, to look also at these fearsome and often brazen matriarchs to glean something new from these often male character dominated stories. Women such as Sarah who singlehandedly convinced her husband, Abraham, after an argument over birthrights, to send Hagar, the women who birthed his first son, Ishmael, out into the wilderness to fend for herself and to protect Ishmael without any help. But what about Hagar? She, too, was a woman of strength whom God protected. There is Rahab who, while often thought of as a harlot, actually saved the lives of the Israelite spies which was a huge risk to take. Additionally, there is Delilah, the only woman capable of defeating her husband, the mighty Samson. Delilah, Cartledge said, had a “…smooth talking, riddling, whining, ‘don’t you love me anymore’ way” about her that crushed Samson and allowed her to show that she would not stand down against him. Of course, the list of women and the descriptions of what they did for others and for the maintenance of their own dignity could go on with Ruth and Naomi, Michal, Esther, and women who remain unnamed from Tekoa and Abel. All of these women in their actions and deeds show that women are not subordinate or second class citizens, despite what a patriarchal society might portray, patriarchy that exists even today. Reading the Old Testament with a more balanced approach that focuses not only on the males who made a difference but also the females who made a difference reminds us of a need for increased conversation, not about a rise in feminism but a rise in gender equality. Sometimes, as evidenced by the great women of the Old Testament, gender equality might often require extreme measures and circumstances. Cartledge focused a great deal of his discussion on Tamar. Tamar married two of the three sons of Judah and both of them died. In both marriages, Tamar remained barren. Judah, of course, blamed the deaths of his sons on Tamar instead of seeing his sons as the evildoers and tricksters tat they were. This unfair treatment lead Tamar to take matters into her own hands in order to seek the justice that she deserved. After all, as Cartledge alludes to, women are more than “…living receptacles into which men left their seed…” to be fertilized as the sole sign of their worth. In the end, Tamar does not kill Judah. Judah does not kill her. Instead, they lived together and he cared for her. I guess it could be said that they lived more as equals in a way that was unpredictable in this ancient world. Let us read the biblical narrative in a way that forces us to see that equality of all kinds, be it gender related or not, stands at the forefront of how we as Christians are to continue to live into and out of this story that forms and shapes us into the people of faith we are. We may not need to go to quite the extreme and bizarre measures that these Old Testament matriarchs went to but we need to do something, especially when inequality is staring us right in the face, present right in our own communities. 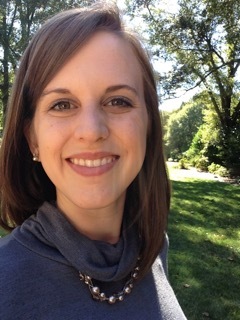 Mallory Monroe a serves as the Minister to Children at First Baptist Church of Shelby, N.C. and is a final semester student at the Gardner-Webb School of Divinity in Boiling Springs, N.C. I agree with this post that the role of women in both the Old and New Testament should not be overlooked, but included as part of the overall plan of salvation that God had intended from the beginning. Well worth the read friends.